THE POLLINATOR GARDEN. http://www.foxleas.com/ . 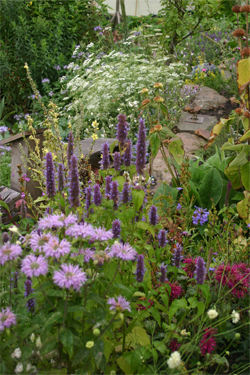 Marc Carlton’s 2010 cottage garden pollinator border, designed to attract wild bees & hoverflies. 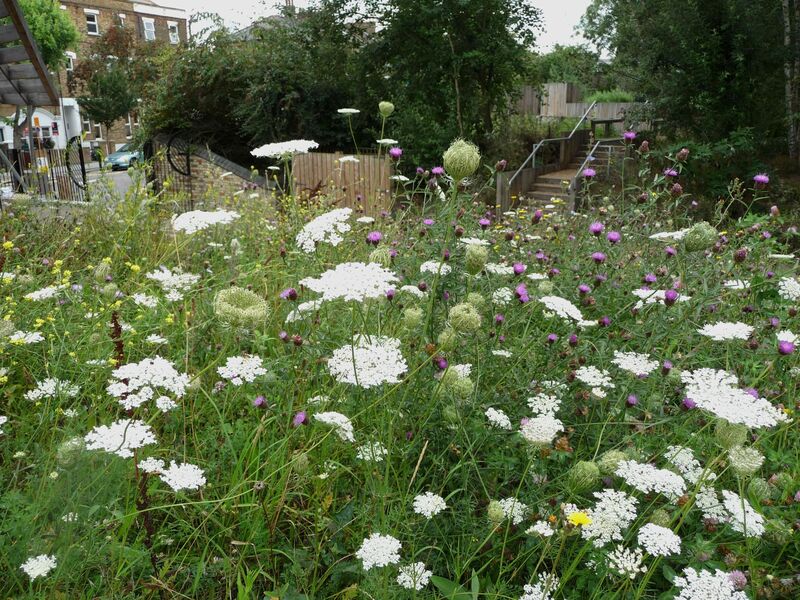 This website by naturalist & gardener Marc Carlton is based on careful observation of plants and pollinators in the gardens he created in S London and Chepstow near the Bristol Channel. Marc advises: Choose a sunny site; Create shelter from prevailing cold wind; Group flowers of the same kind in large drifts; Plan for a succession of flowers through the growing season; Minimise or avoid the use of pesticides. Marc can be reached via the Contact page of the website. Some website content is available as pdfs, but only for personal, non-commercial use. This is a joint initiative between The Royal Horticultural Society(www.rhs.org.uk/) and The WildlifeTrusts ( www.wildlifetrusts.org/ ) offering information, project ideas and a monthly newsletter aimed at helping us attract more wildlife to our gardens. The website has a wildlife blog by Miranda Hodgson, and profiles on more than 200 birds, mammals, reptiles and plants. Gardener, botanist and writer Sarah Raven, known for her work at Sissinghurst and appearances on BBC2’s Gardener’s World, is based at Perch Hill Farm, Sussex, where she has her cutting garden. With a visit to Sarah’s website you can order books, plants and seeds, sign up for a course or arrange to receive her newsletter. 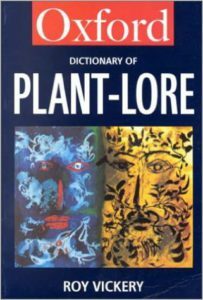 PLANT-LORE is an Archive of local names, herbal remedies, sayings, tales, riddles and legends about plants. Botanist, lecturer and author Roy Vickery is The Compiler of the Archive. Born in rural Dorset but now living in South London, Roy’s extensive website looks at local traditional activities. The typescript of his Folk Flora was delivered to its publishers late in 2017, and publication is expected in April 2019. Roy welcomes information on plants from all parts of the British Isles, ethnic groups settled in the British Isles, and comparative material from overseas, no matter how widespread and well-known you consider it to be. A copy of all material received will eventually be placed in the care of the library of The Natural History Museum. See the website for details. Roy Vickery, 9 Terrapin Court, Terrapin Road, London SW17 8QW. In 2009 gardener, writer and photographer Naomi Schillinger helped set up a community gardening scheme at the other end of our North London street, with over 100 households involved. The front gardens, window boxes and flower-filled tree pits of these Blackstock Triangle Gardeners have been an inspiration for the rest of us. On this website Naomi keeps details of the scheme and photos of the gardeners celebrating what they have grown on ‘Cake Sunday’ get-togethers. She lists other recommended websites on her gardening blog, and looks at gardens farther afield that are worth a visit. Her sumptuous photos of Great Dixter in June are on the site now. 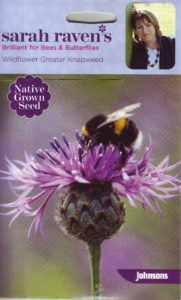 The BBCT is a small independent charity that works to help native Bumblebees, who are in decline. Creative fundraising ideas from its membership help the Trust raise public awareness, evolving plans to help Bumblebees. We look more closely at The BBCT on our What You Can Do – For Bees page on the drop-down menu. For details about their work, how to become a member or sign up for their free e-newsletter, see their website. This is an online identification guide to True Bugs, of which there are nearly 2,000 species in the UK. The website has a gallery of bugs & information on recording, identifying & going further in bug investigation. Illustrations of the UK Shieldbugs & their instars by Ashley Wood accompany their pages. This UK-based charity works to save native butterflies & moths from extinction. Through surveys, monitoring & research it promotes gardening that is moth & butterfly-friendly, with advice on conserving & restoring natural habitats vital to butterfly & moth life-cycles. Butterfly Conservation, Manor Yard, East Lulworth, Wareham, Dorset EH20 5QP. These tiny T-shaped moths have been plentiful in our garden. They have multiple wings that fit over each other when at rest, and fly in a quirky way – describing corkscrews or zigzags in the air before landing on the underside of a leaf. 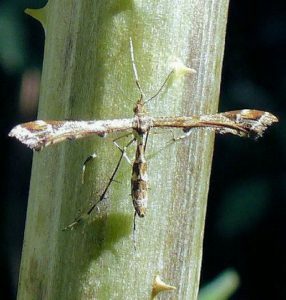 We have had the occasional Plume Moth whose wingtips look like swirly sand sculptures; there have been a few white Plume Moths, but our most seen species is Amblyptilia acanthadactyla, with what appears to be a stencil design all over wings and thorax. Wikipedia says it is also seen in Iran and Georgia. This independent charity does research into biodiversity, especially where it concerns birds. Its members, with over 40,000 volunteers & partner organisations, work with scientists to record details of everything from badgers to butterflies, but this is a ‘birds-first’ organisation. The charity publishes journals, including BTO News for members and Bird Table for participants in their Garden Birdwatch Project (in which volunteers keep a weekly record of how many birds they see in their garden). A major UK charitable organisation working to improve the welfare of birds in this country & abroad. Some familiar British birds are migrants who spend part of each year in other countries. Hunting & changes to the climate & their living places abroad have left many birds facing danger and death once they leave the UK. The RSPB campaigns abroad with partner organisations to improve the welfare of all migratory birds. For more on the RSPB, see the What You Can Do – For Birds page on the drop-down menu. Founded in 1994 in the small country town of Wem in Shropshire, this specialist supplier of wild bird-related products by mail order delivers birdfood, birdhouses, feeders & other accessories to your door. These items are included in their free feeding guide, along with season-related articles on birds, competitions & more. A link on their website lets you ‘Raise money for your Wildlife Trust – buy your birdfood from Vine House Farm.’ Every sale of birdfood, bird houses, feeders & accessories from wildlife-friendly Vine House Farm in Lincolnshire supports the Wildlife Trusts. Delivery is free, & the Trusts receive an additional £5 from your first purchase. FOE work with local groups, experts, business leaders, politicians – campaigning to protect the world we live in. Those taking part in FOE‘s Great British Bee Count for 2017 spotted 320,337 bees around the UK. 17 May to 30 June 2018 will be the dates for this year’s Great British Bee Count. The Open University is the largest academic institution in the UK & a world leader in flexible distance learning. Its website, aimed at identifying anything in nature, is called iSpot. It encourages learning via social networking. ISPOT is free to join. Share wildlife photos from your camera or phonecam along with the location where you took them & contribute to the picture of nature across the UK. If you use a digital camera, your photo’s date will automatically be recorded along with other photo data. This charity plants native trees and works to regenerate and protect our woodlands. The campaigns it runs teach the importance of trees to us all, & its planting plans seek to link remnants of ancient woodland. One of its goals is to get more of us out into the countryside, enjoying a visit to our woodlands. Because of our neighbourhood’s Viking connections (See our page Vikings at the Bottom of our Gardens?) we follow events in the North of England, where this Centre was built in York on the site of a 1,000 year-old Viking town. Each year at February Half Term, Jorvik hosts Jolablot, the ancient Viking festival held ‘to herald the coming of spring and the survival of winter hardships’. Over 40,000 visitors come to this, the largest Viking Festival in Europe, attracted by its atmosphere & family-friendly events. Volunteers come to York from all over the globe to take part in combat reenactment. Jorvik’s Viking festival for 2018 finished on 18th February. This year’s events included Have-a-Go Archery & Sword Combat, Viking Age Crafting and Little Diggers with Ivar the Boneless & his Viking Army. The occasion of Jolablot’s return was marked by Brew York with the launch of Ragnar’s Revenge – a beer based on Sahti, a historic Finnish ale brewed with traditional ingredients including juniper, fennel and rosemary. Viking Age Steading featured birds of prey the Vikings would have reared; Poo Day, the messier side of archaeology, was back by popular demand. The Watlington Hoard of Viking era silver, saved for the nation by the Ashmolean Museum and currently on tour, was brought to York for the festival and will remain at Jorvik until 21st May. Once a month Dr Matthew Green conducts walking tours through historical London. 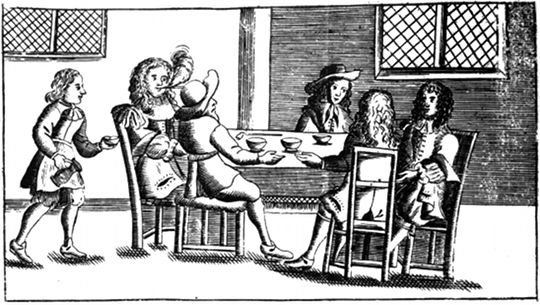 We mention his Lost World of the London Coffeehouse tour on our Highbury Barn (tea) page: it includes actors, musicians and free shots of 17thC coffee! The two-hour tour can also be downloaded as an audio file with Dr Green’s narration, performances by 13 actors and broadside ballads woven into the performance. There is a book, The Lost World of the London Coffeehouse, published by Idler Books. This is a group of volunteers dedicated to protecting and enhancing Gillespie Park, a natural wildllife park and Local Nature Reserve in Islington, North London. They were involved in saving the reserve’s land from development, and work to maintain its special nature for the community. Visit their website to read more about them and possibly consider becoming a Friend yourself. 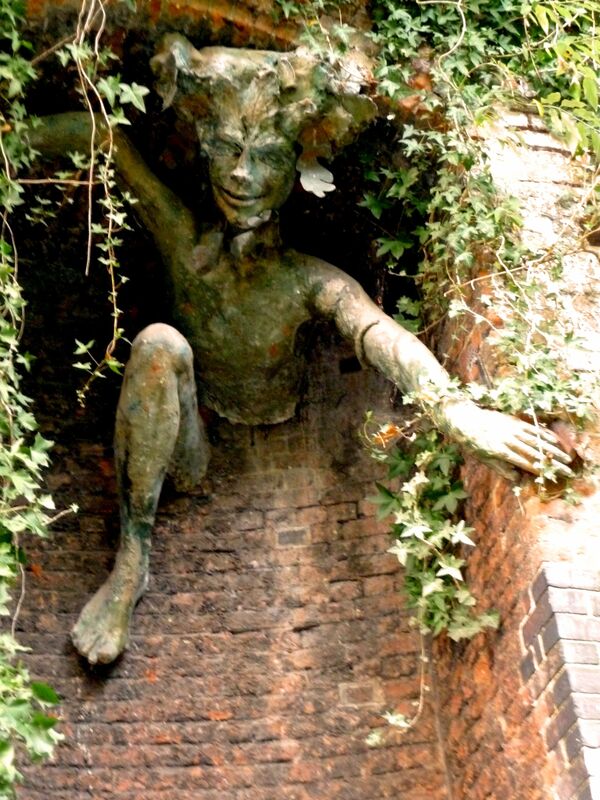 The Parkland Walk is a Local Nature Reserve between Haringey & Islington in North London. Now a Site of Metropolitan Importance for Nature Conservation, it follows the course of a railway line which ran between Finsbury Park & Alexandra Palace. Since the line’s final closure in 1970, many trees & wildflowers have colonised the Parkland Walk, & wildlife is plentiful here. For more, see our Worth A Visit tab on the drop-down menu. For Wikipedia‘s extensive entry for this Nature Reserve, go here. Other websites : Londonist‘s text and pictures include the highs & the lows of this, London’s longest nature reserve. And the Friends of the Parkland Walk site shows how many people care about the reserve & what is involved in keeping it up. This family-friendly Islington charity offers the chance to experience a working farm in the heart of London. At the animal village, where rabbits, chickens & a goat live in painted Wendy houses, children have the opportunity to not only stroke the animals but feed and groom many of them too. The farm has a range of rare animals & many fun things to see and do. School visits are welcomed. 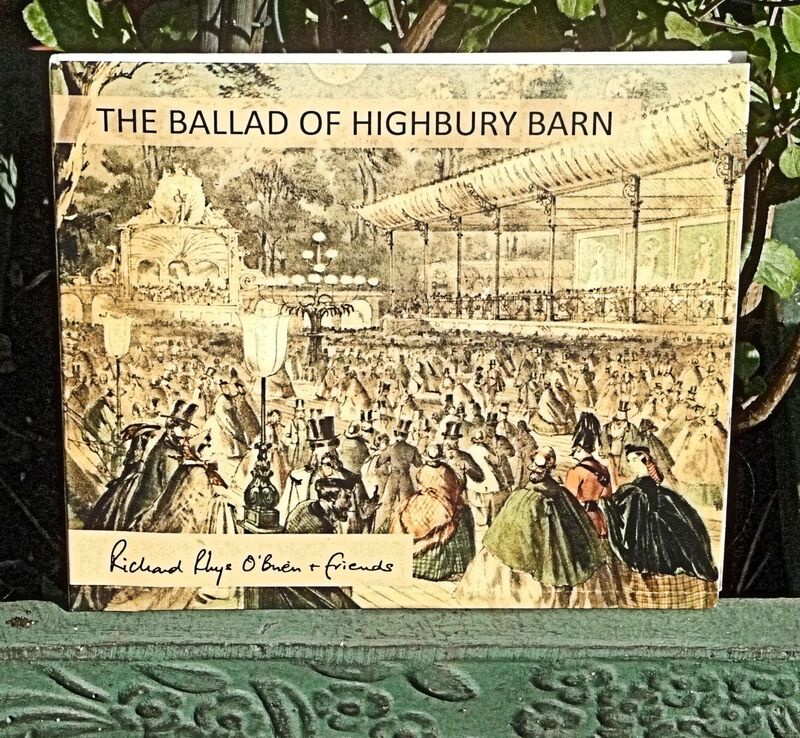 Released for Christmas 2018, this CD by Richard Rhys O’brien, local resident, singer/songwriter & economist, remembers & celebrates the Highbury Barn Pleasure Gardens. Drawing on over 150 years of its existence, Richard has written 18 songs – performed with friends from Highbury’s Eclectic Voices & musicians from the Harmony Orchestra. The CD comes with a full-colour 38-page booklet of illustrations, maps & lyrics to the songs. 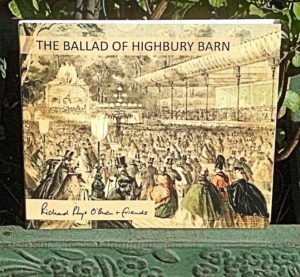 Available from the Highbury Barn Public House & Freightliners Farm, proceeds from sales go to the Mayor’s Charities, Freightlliners Farm & CARIS Islington. 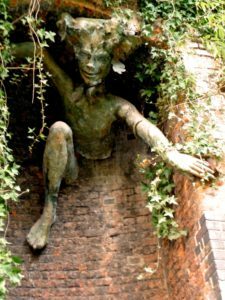 In London’s Lost Rivers, book and website, Paul Talling investigates waterways that once flowed freely through London but have been overwhelmed by its growth.The author conducts guided walks of London’s lost rivers, streams, canals, docks and wharves, much enjoyed by those who have gone on one. Tickets, limited to 20 per walk, usually sell out months in advance. See website for the guided walks mailing list.